Hi, Am persuing my MBA in "R N Shetty Institute of technology, Bangalore". 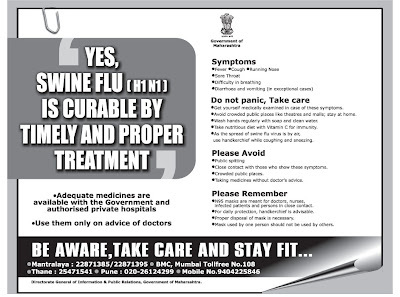 I here by wanted to inform you all that we are planning to organize a "Swine flu awareness camp" to the public on 5th of Sep.. We want to raise funds through some NGOs, Could you please help us in any ways.For further details, Please write back to my mail ID(iam.abhilashg@gmail.com). We look forward to hearing from you.